A broken fire hydrant on 28th Street in Detroit where three separate fires destroyed six homes and buildings in a two block area. All that remains of one home on 28th Street in Detroit. Firefighters at the scene of an abandoned building. They suspect the roof fire was started by scrappers trying to remove I-beams. Steve Neavling founded the online journalism site Motor City Muckraker. Frankly, Neavling is a thorn in the side of the Detroit Mayor’s office. He pokes and prods and provokes City Hall. Right now he’s working to document every fire in the city for a year. One thing he’s noticed is a lot of broken fire hydrants. He says because it sometimes takes extra time to find a working hydrant, a house fire can spread to the next house. We drove to a neighborhood where he says that’s happened. “We’re on 28th Street. And in a two-block area of 28th Street there were three separate fires that caught six houses and buildings on fire all within a two block area," Neavling said. “And this house was one of them, and as you can see this was a large two-family brick house that is leveled to the ground. And the reason is right across the street is a broken hydrant,” he added. Neavling says he asked people at city hall about the broken hydrants. He says they estimated there were about 70 broken hydrants in Detroit. That just didn’t seem right to him, so he surveyed 15% of the city’s nearly 30,000 hydrants. Steve Neavling with Motor City Muckraker stands next to a broken fire hydrant in front of where he lives. “With the 15%, we found 279 broken hydrants. And if you extrapolate that, you know, there’s quite a few broken hydrants, a lot more than the 50, 60, 70 hydrants the city thought,” Neavling said. If you extrapolate that, it means more than 1,800 broken hydrants. The Fire Commissioner’s office did not respond to a request for an interview about the problem. Steve Neavling filed a Freedom of Information request with city hall to see how bad the problem is. It was denied because the city says it would endanger the public if arsonists knew which fire hydrants were broken. He’s now suing the city for the information. I caught up with Shawn McCarty at a fire call. He’s a captain, but was acting-chief that day. He says the broken fire hydrant problem is worse in the winter. “The problem is more so when it’s colder outside. The hydrants freeze. But, generally, in temperatures like this, we don’t have much of a problem with fire hydrants," McCarty explained. That’s because some of the hydrants have small leaks that cause the freezing. During the summer, it’s just a leak. Many other hydrants are just broken and need to be replaced. Rank and file firefighters have been warned not to talk to the news media about problems within the department. However, I was able to talk to four firefighters from three different firehouses. They didn’t want to be recorded, but they did confirm more buildings and houses burn because of broken hydrants. The firefighters also told me about a smart phone app that could allow firefighters to report broken hydrants and then the Detroit Water and Sewerage Department could fix or replace them. The problem, according to my sources, is that the app has been activated on phones only at a couple of the city's 37 firehouses. DFD Battalion Chief Shawn McCarty says it’s being phased in. “I have it. Every firehouse doesn’t have it. It’s a work in motion, but we’re getting better at it every day,” he said. McCarty wasn’t sure when it would be activated for all the firehouses. City hall has not responded to requests for an interview about that. Even if it were activated, it’s not clear the city has the money to fix all of the broken hydrants. The cost is more houses and buildings burning. 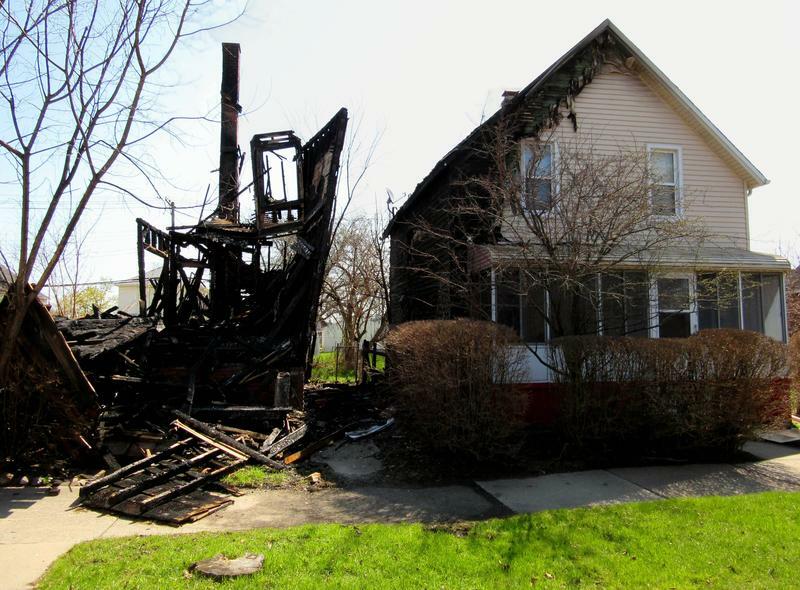 About 70% of the fires in Detroit are due to arson of vacant properties. And Steve Neavling with Motor City Muckraker says he noted one other thing in his hydrant survey. “The poorer the neighborhood, generally, the more hydrants we were seeing broken,” he said. The Detroit Fire Department scavenges parts off of old equipment to keep its aging fleet operational. This summer DFD is scheduled to receive ten new engines. The Detroit Fire Department will be getting some new fire engines this summer, and it’s brought on new trainees to help out with other problems, including broken equipment and staff shortages. Assistance in reporting this piece came from Bill McGraw with Bridge Magazine, a DJC partner.